For our shatavari powder we use high quality organic shatavari roots, which are carefully dried at low temperatures (below 42 degrees C). Compared to common air drying, this is a very gentle process because it preserves the natural plant substances. After drying the fruits are pulverized. Shatavari belongs to the asparagus family. Ayurveda uses the roots. It's a famous ayurvedic tonic for women. The translation for shatavari is "she with husbands by the hundred". 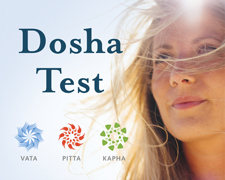 Shatavari reduces the vata and pitta doshas and increases the kapha dosha.